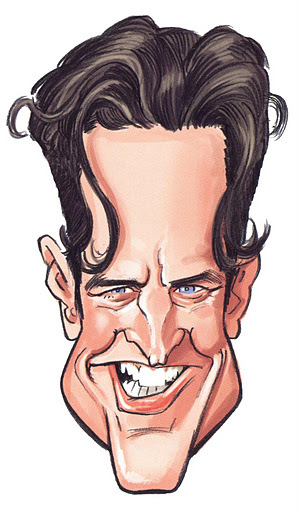 Ya know, it figures I would land up on the FOREHEAD page of “The MAD Art of Caricature”. LOL. Yep, that’s a drawing of me by my good buddy, Tom Richmond. It’s on Page 94, to be exact….. If you know much about me at all, then you know Tom and I have been personal friends for many years. Our wives and we met through the International Society of Caricature Artists, and have continued and grown that friendship through many National Cartoonist Society Reubens Weekends, San Diego Comicons, family vacations together, and basically anytime or reason we could find to hang out. I consider him one of my closest friends. 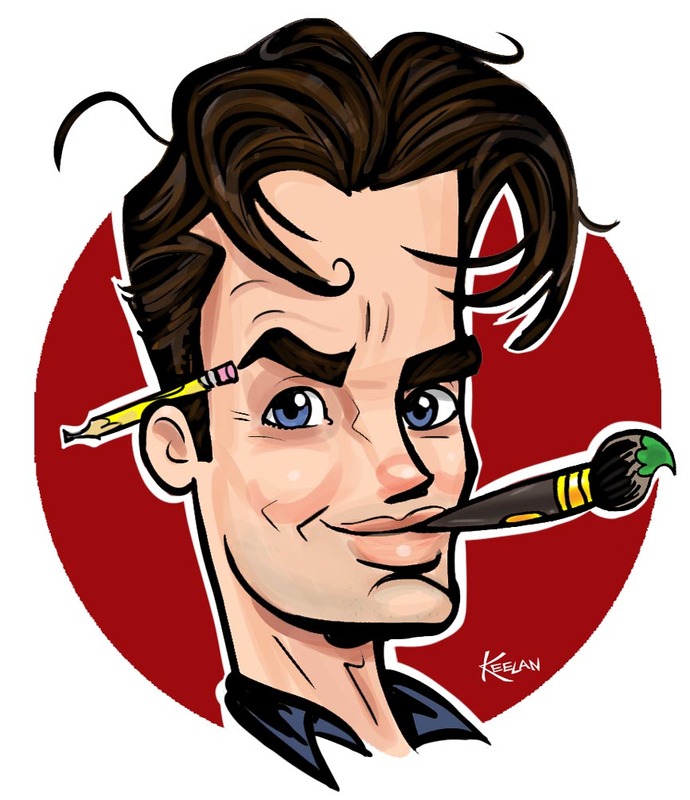 Tom has always been great at caricaturing, and even started out doing live caricatures in theme parks like I did. That was the common ground we had when we first became friends. I was actually an early fan of Tom’s, even before we met, having seen his work in NOW Comic’s “Married With Children”. You know, being the big comic book geek I am. Over the years, I’ve seen his work get better and better, to where he’s now one of the best caricature artists and cartoonists EVER. So that makes me feel even more honored to be included in his book. For years now, he’s talked about coming out with this book, both privately and publicly. I first remember him talking about it in depth on a vacation to Hawaii about seven years ago. There were many times I doubted he would ever get it finished. There were even more times when he HIMSELF doubted he’d get it finished. But, man, am I glad he did! It is truly amazing, in the quality of artwork, the quality of writing, and the sheer amount of knowledge of it’s subject imparted in it’s pages. 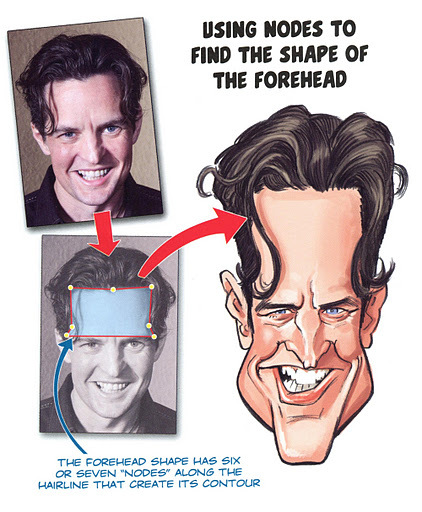 Without a doubt, it’s THE definitive guide to drawing caricatures. 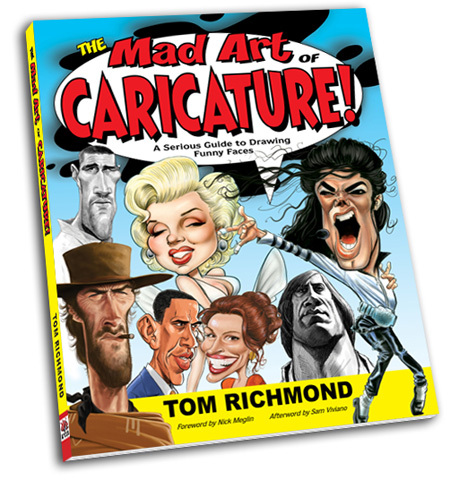 If you have any interest in cartooning, learning how to draw caricatures, or are just a fan of Tom Richmond’s work, you gotta order this book! GREAT caricature he made of your face.Greetings, Pal!Tell me, how was the convention?Are you going to show pictures in Facebook? I LOVE Tom's Book. Yours & his would have to be my favorite caricature books of all time. I know there are many out there.. but these rule! And he drew you awesomely! Love it! Really cool, especially like the haircut. I'm gonna follow this blog in the future. I'm currently starting up my own blog, check it out if you want.